How to get to Chiang Mai | CNXGuide.com - your guide to Chiang Mai, Thailand! Getting to Chiang Mai is easy. There is an international airport only minutes from the city and it is very easy to deal with. There is also a train station with daily service to Bangkok and Chiang Rai as well as busses that can take you to/from various points in Thailand, Myanmar and Laos. The easiest way to travel to Chiang Mai, Thailand is by air. 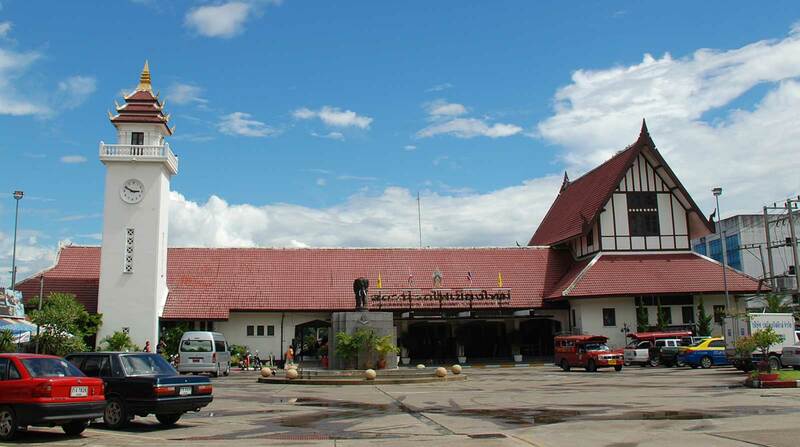 The Chiang Mai International Airport (CNX) is a convenient, well-equipped airport that flies to Bangkok dozens of times per day as well as other cities in Thailand and throughout South East Asia. The airport is only minutes from the city and is very easy to get to and deal with. Getting to the airport is very easy as it's only a short distance from the city. The easiest way is by songthaew (red truck) or tuk-tuk. Either way, it shouldn't cost more than 100 baht or so. The easiest way to get to your hotel from the airport is by taxi. Simply walk outside the baggage claim area and you will see Taxi stands offering rides to the city. Rides to the city should cost a flat 160 Baht. Traveling by train is very popular in Thailand because it is economic and safe. In particular the Bangkok - Chiang Mai route is very popular with tourists and is a great way to see the country side and experience an overnight sleeper train. The train station is on the east side of the Ping River. There are a number of bus stations scattered throughout Chiang Mai including the Central Chang Puak terminal (north of Chiang Puak Gate) as well as the Chiang Mai Arcade bus terminal which is North-East of the city. Bus is an inexpensive way to travel and you can get pretty much anywhere in Thailand by bus.